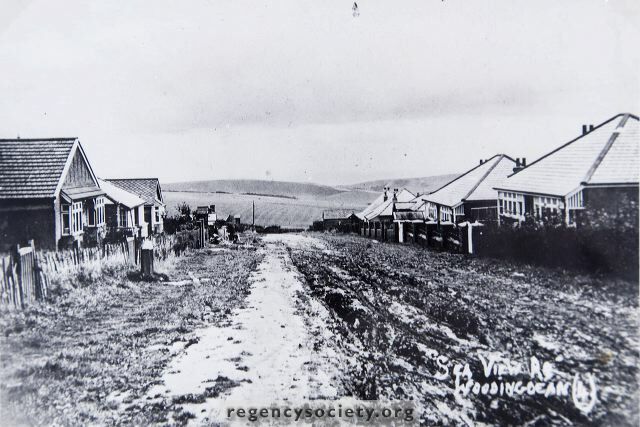 A little later, perhaps about 1925 or so, the view down Seaview Road towards Warren Road. It was not until after incorporation with Brighton, in 1928, that these rough earth were made up. On the left a standpipe for supplying water.